If you do like treacle, go for your life. 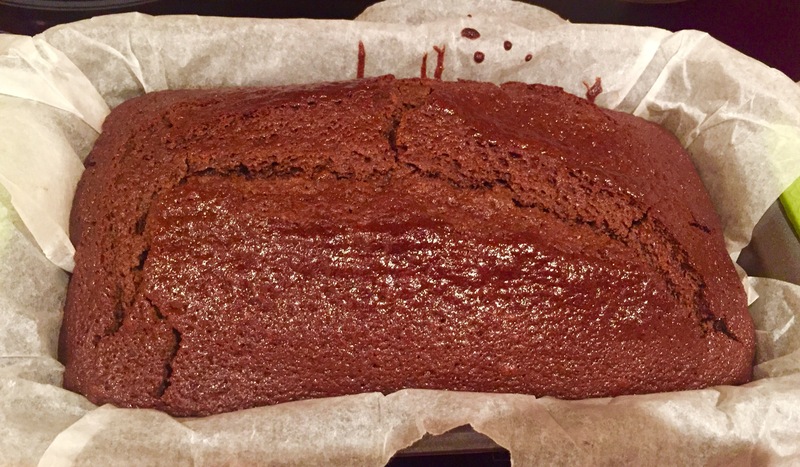 Personally, I can’t stand treacle, but it’s become a bit of an annual tradition for me to bake one of these guys for Mr Brooker, whose sweet tooth is more subtle than my own. He likes to keep it wrapped in foil for a couple of weeks to get really sticky, but you can serve it as soon as it’s ready, either plain or buttered. 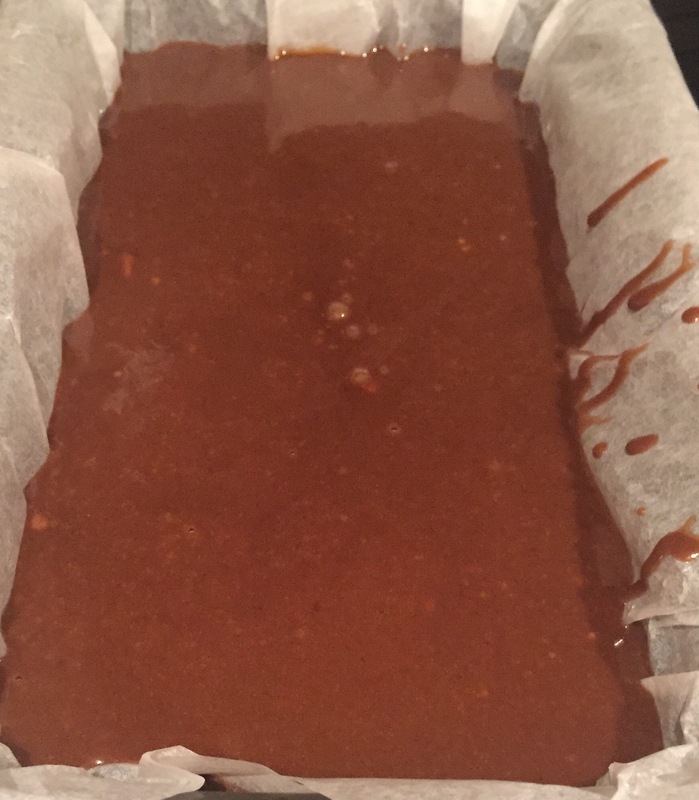 I’m going to experiment a bit before next Christmas to see if I can work out a treacle-less loaf which isn’t just a syrup cake. 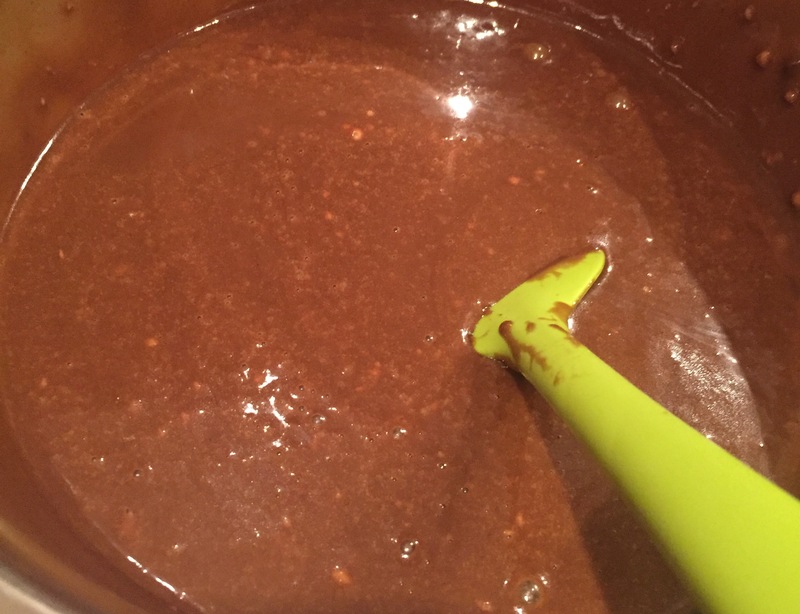 Oh, and there’s no electric mixer necessary for this recipe. 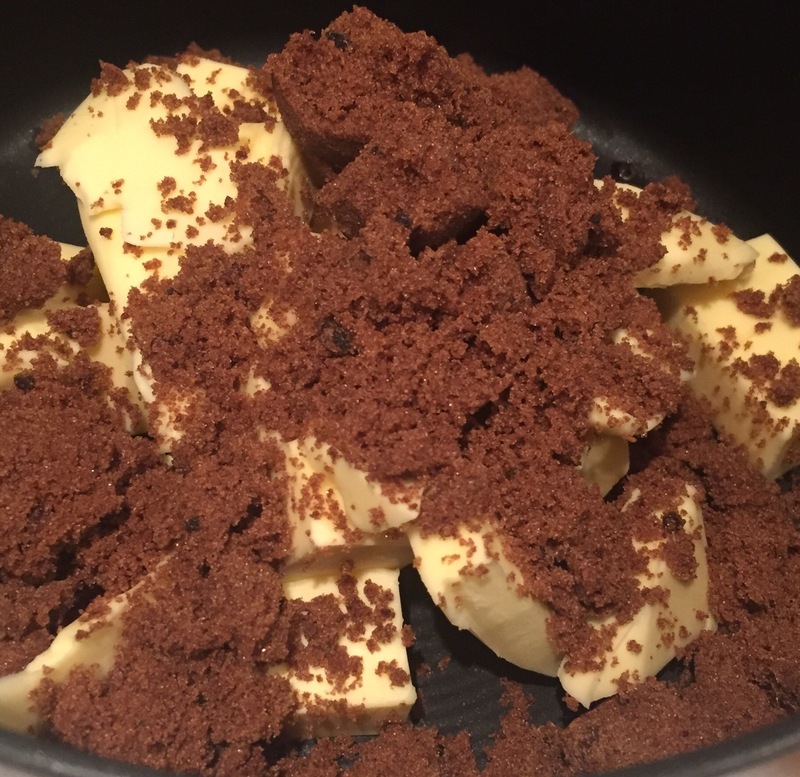 150g butter – can be cold! 1. To prepare, remove the top shelf from the oven and lower the middle shelf so there’s plebty of room for the loaf. Pre-heat the oven to 160c fan or 170c non-fan. Line a loaf tin with grease proof paper and lightly grease with butter. Weigh out the butter and sugar into a medium saucepan. 2. Add the syrup. Lyle’s now make syrup in a squeezey bottle which is so much handier for baking. Just squeeze in, pop the cap back on and stick it back in the cupboard; none of that messing around with a mental tin which needs the lid levering off. 3. 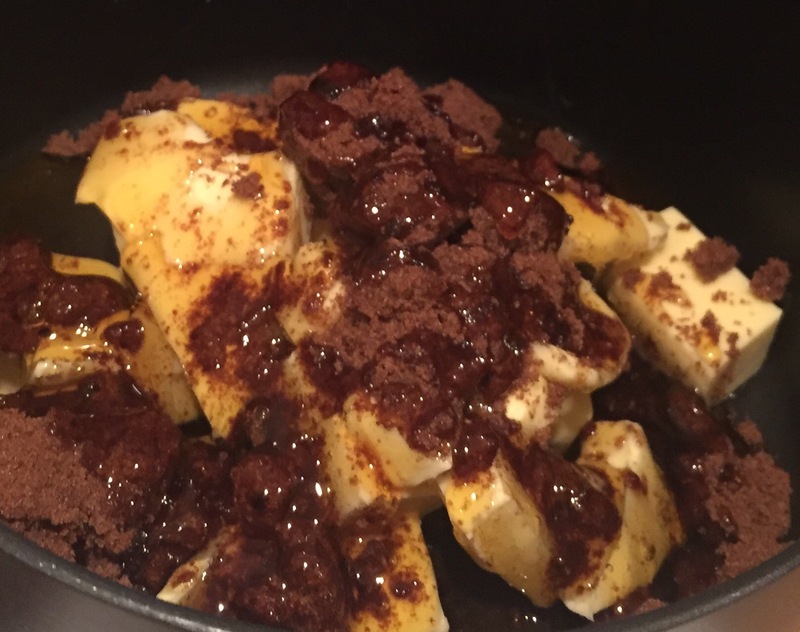 Add the treacle, fresh ginger and ground spices. 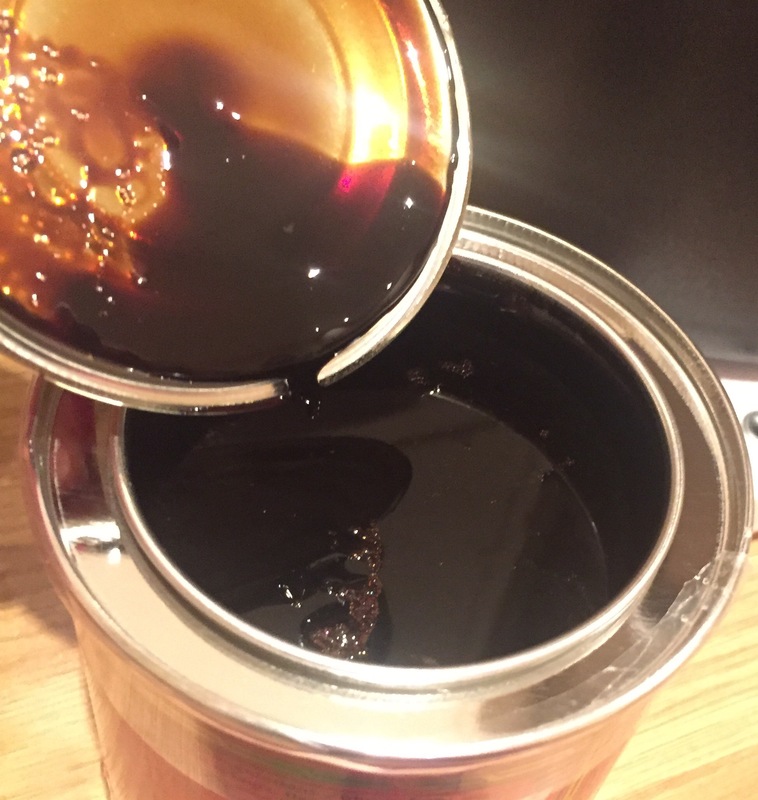 Unfortunately you will need to faff about with a treacle tin now! 4. 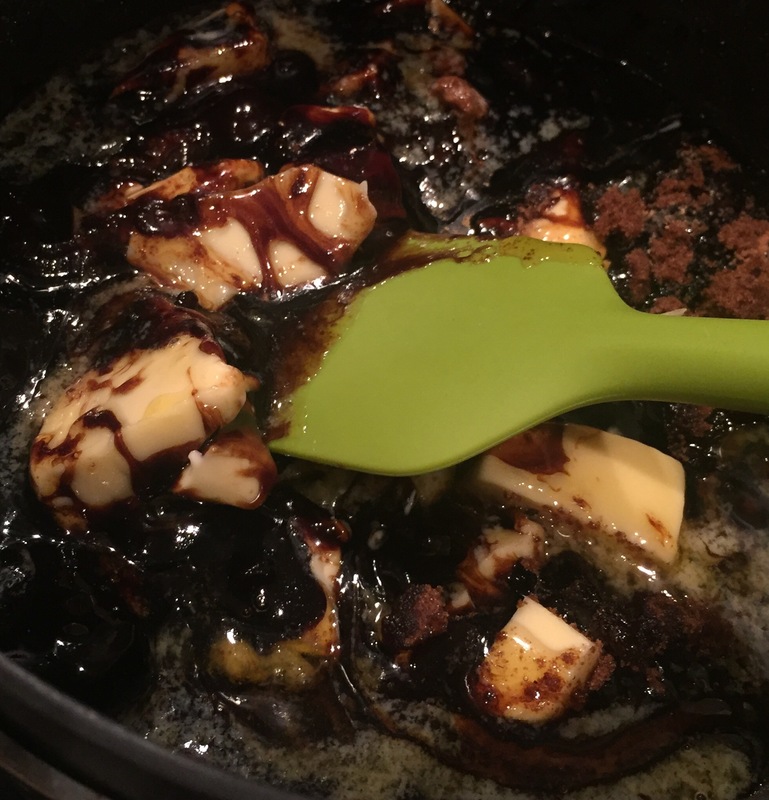 Put the saucepan over a low heat and mix the ingredients together as they melt. 5. Meanwhile, whisk the eggs in a small bowl, just to break up the yolks for even mixing into the cake batter, and measure the milk into a jug. Then seive and weigh the flour into a large bowl, big enough to take the total volume of all the ingredients. 6. 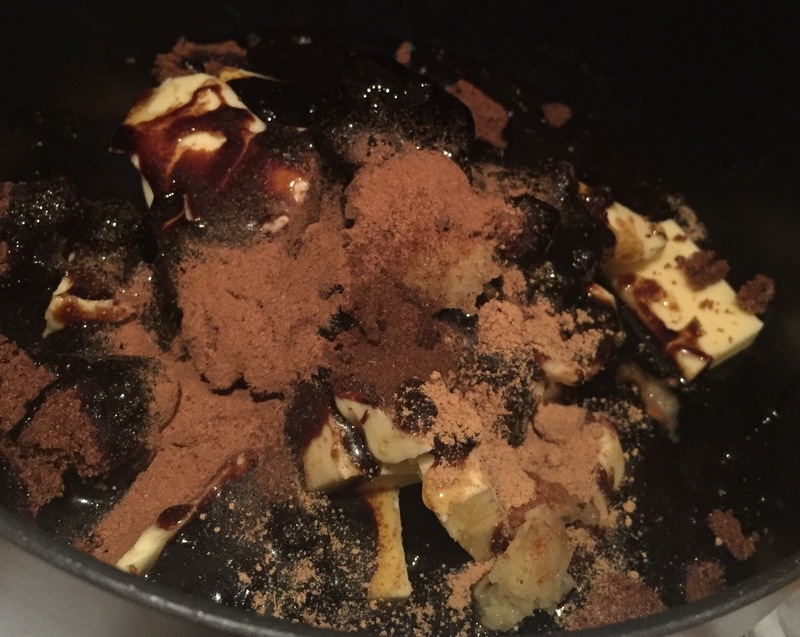 Stir the melted ingredients together until well-combined then remove from the heat for a few minutes. 7. Pour in the milk and mix together. Then add the beaten eggs. Stir very quickly after you have added the eggs to help the temperature even out, though the milk should have given the cooling process a good start. 8. 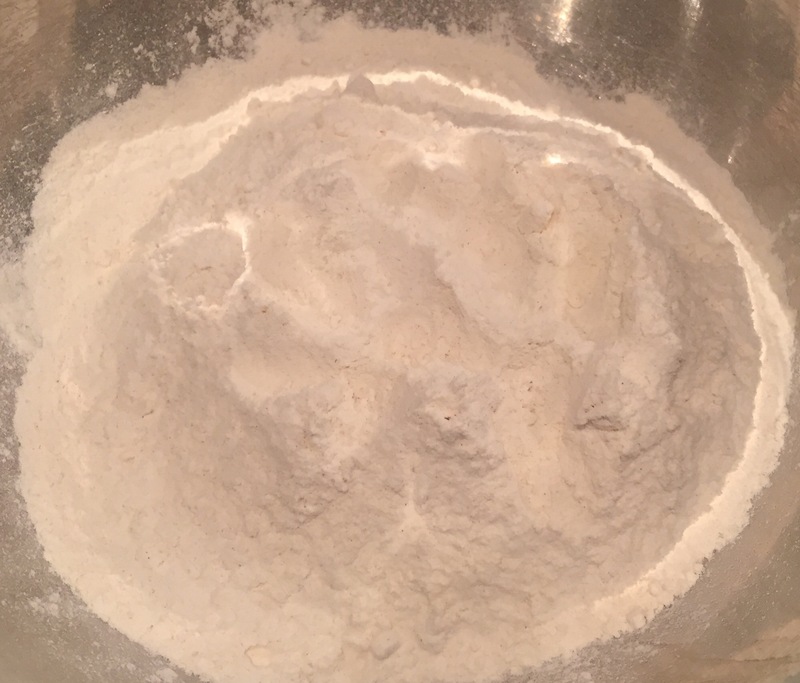 Tip the wet ingredients into the flour and mix everything together well. 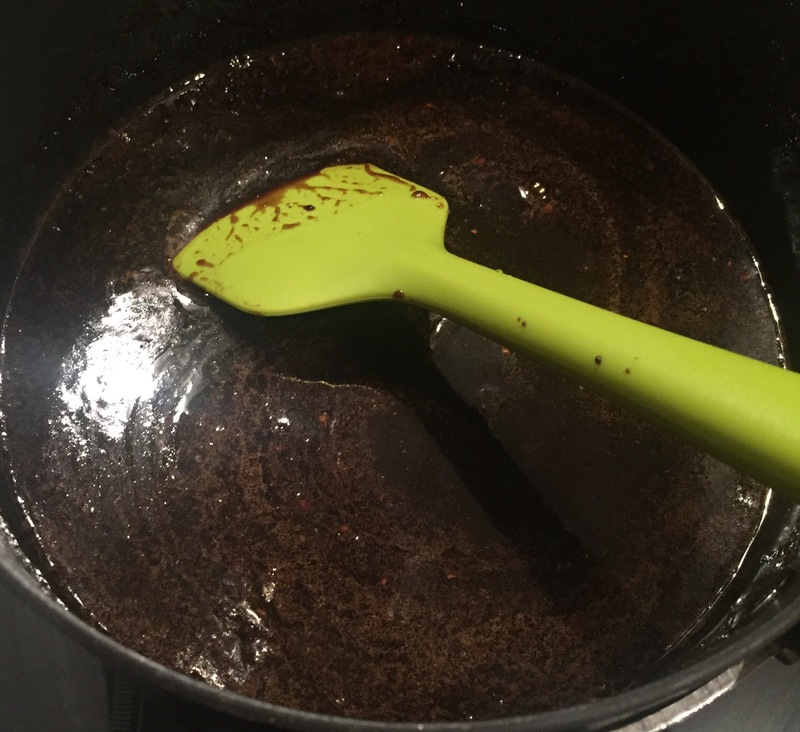 The lumps are easier to get rid of with an electric mixer but if you don’t have one just spend a few extra minutes gently stirring, pushing the lumps against the side of the bowl to help them to disperse. And using a seive to measure the flour will help too. 9. Pour into the loaf tin and shove it in the oven. It should take around an hour to bake but it’s best to keep an eye on it. Don’t open the door until it has risen and looks to be firm. It’s ready when you push a skewer into it which is clean when removed. If it’s not quite ready,give it another 10 minutes then try again. Serve in slices, plain or buttered, or give as a host gift when visiting someone, wrapped in paper or foil. Kept airtight, it should last for a couple of weeks.